Wat Phnom is a wat, or temple, near the center of town. 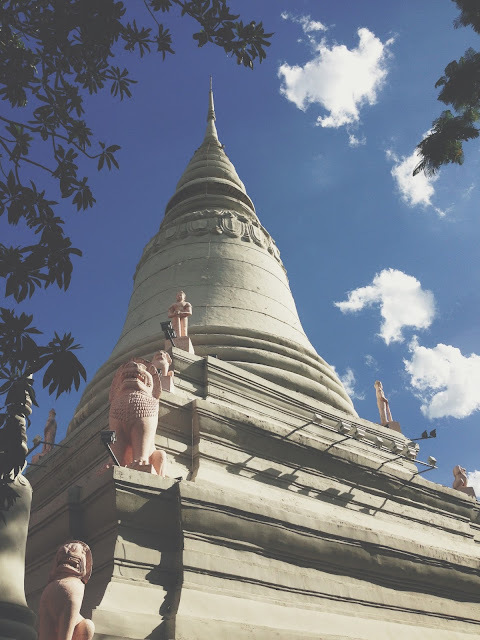 "Phnom" means mountain in Khmer and this wat sits up on the city's only "mountain" (although I don't think even a west Texan would call it more than a hill). This hill and temple, said to be first built in 1373, is where the city of Phnom Penh gets its name. The area around the wat is also one of the few places inside the city where you are surrounded by trees and nature. Locals like to walk around the park and wat during the afternoons and evenings, and when we are on that side of town, we do too! In class one day we learned the Khmer word for elephant and our teacher mentioned that there were elephants in Wat Phnom park. We had been there a couple of times before for quick visits and definitely hadn't seen any live elephants! 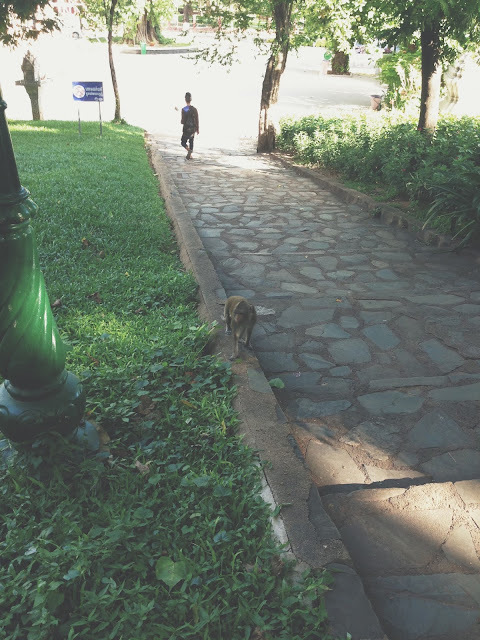 We went back to Wat Phnom a few weeks ago and walked around to make sure we weren't missing out on some exotic wildlife. We didn't find elephants, but we did find some surprising animals! 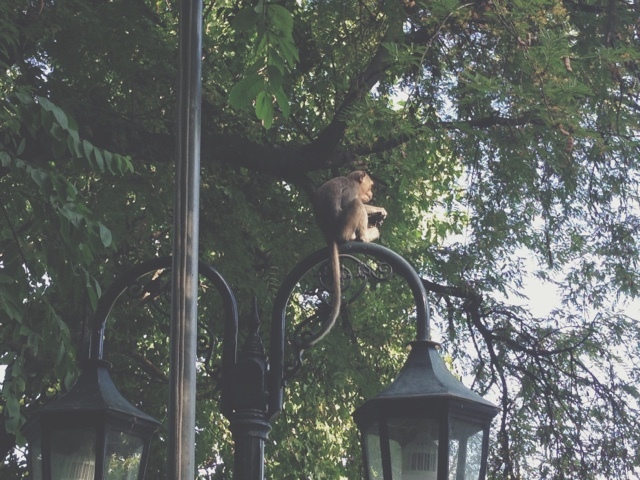 We tried not to get too close, but there were several large monkeys living it up right in the middle of the city!